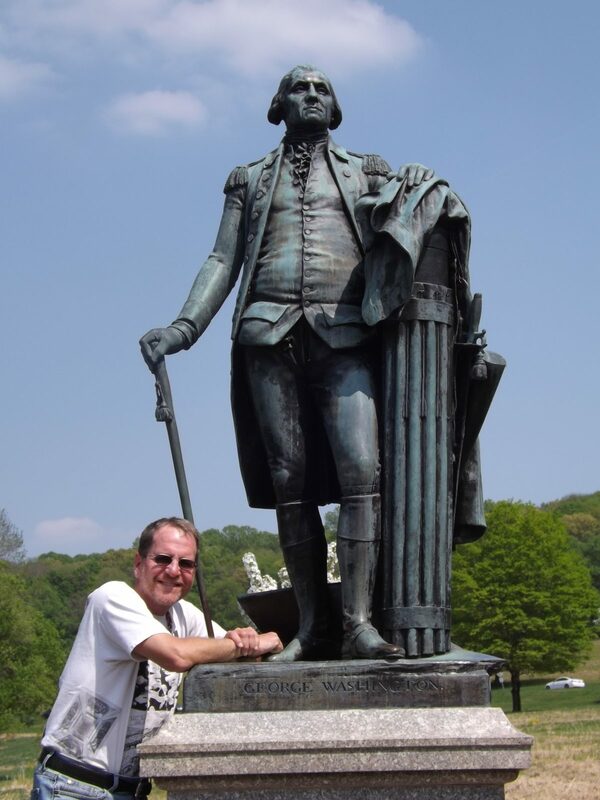 As the country lies in the throes of winter, our thoughts turned to the winter of 1777-78 and the third winter encampment of the new Continental Army under General George Washington at Valley Forge, Pennsylvania. Tucked inside our nice warm house, it is hard to picture what it must have been like there 240 years ago. 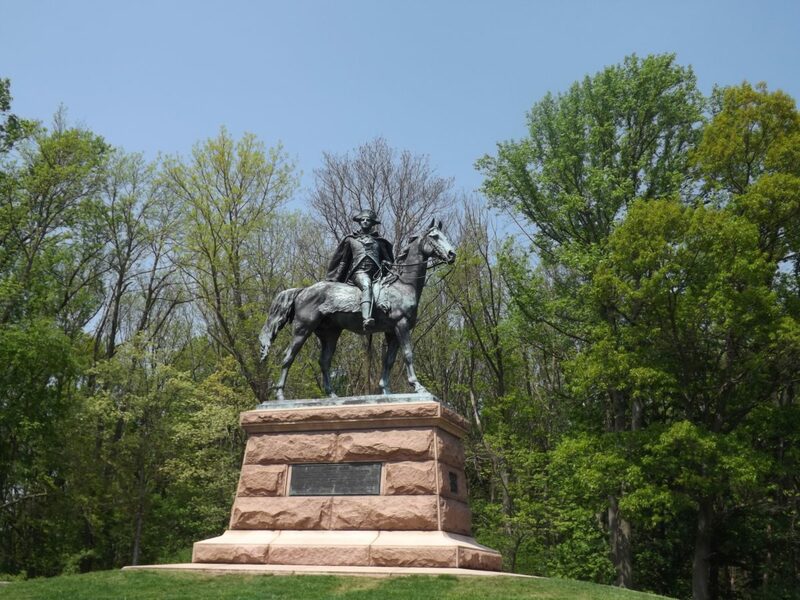 After failing to retake Philadelphia from the British, General Washington led his troops just a days march from the city (18 miles) where they were to spend their next 6 months trying to become an organized military unit ready for battle. 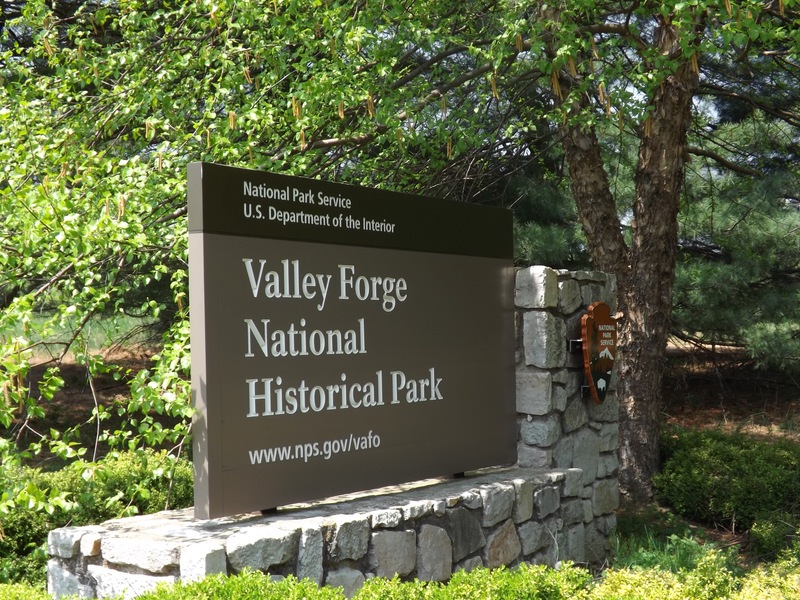 They established their winter encampment at Valley Forge, creating what was to become the 4th largest city at the time – home to 12,000 soldiers and some 400 women and children. Picture them descending upon what was a quiet family farm; hacking down the nearby forrest to create shelters and gather firewood; and appropriating livestock and supplies from nearby farmers to feed the hoard, often leaving these families short on food themselves. The new army was short on everything – not just rations but basics like blankets and boots. It was a constant battle for General Washington to try to get more supplies. Over that winter, almost 2,000 people there died from hunger and disease. The army lost 1 in 10 soldiers. 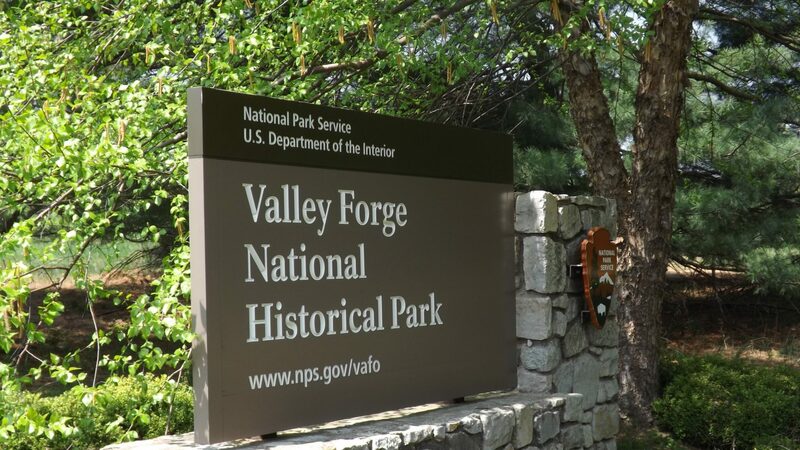 Now a 3,500 acre preserve, Valley Forge National Historical Park commemorates the encampment, which had once included 1,500 log huts and 2 miles of fortification. 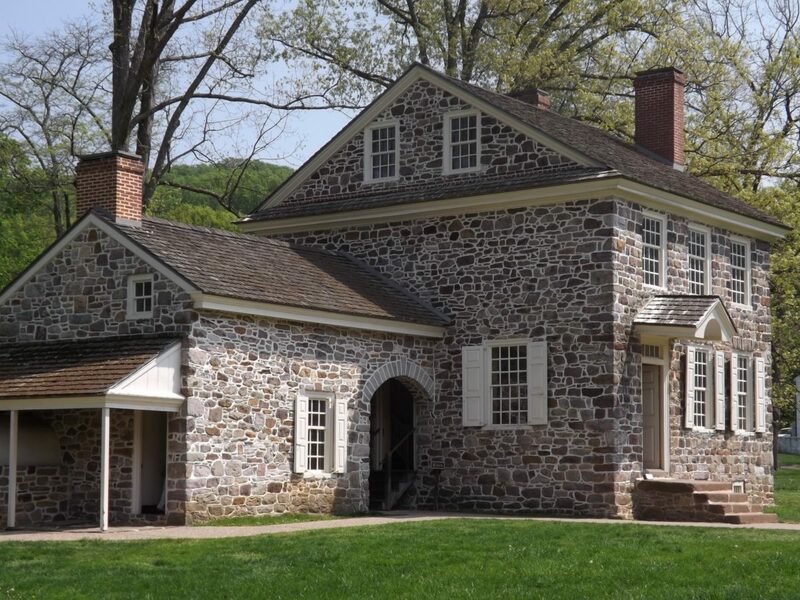 You can see replicas and also visit the farmhouse where General Washington had his headquarters. 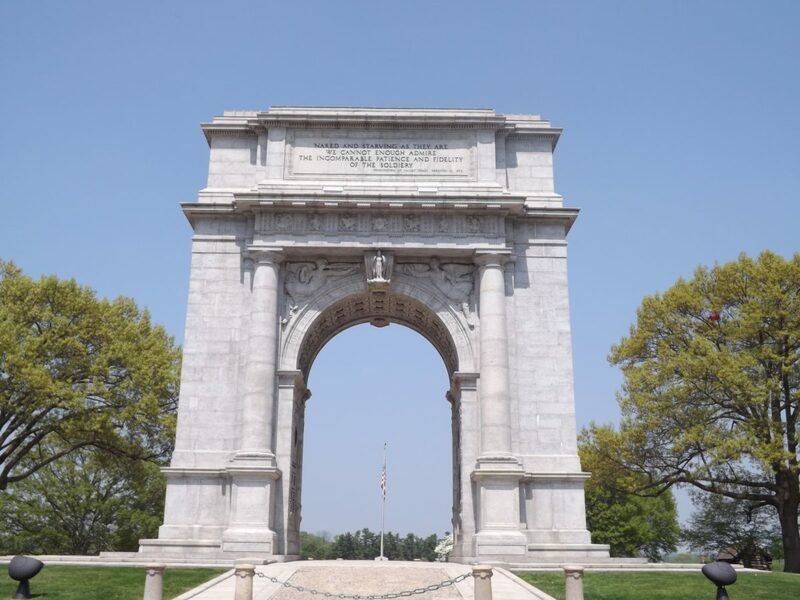 There is also a nice drive around the encampment site with some great photo spots, including the National Memorial Arch, statues and monuments. We didn’t visit in the winter, but you can easily imagine how bleak it must have been. The movie at the visitor center will help you picture what this place was like. If you like to hike, there are over 26 miles of trails, paved and unpaved. The longest one is just under 9 miles. It is a favorite place for locals who like to hike and run. In fact, there is an organized 5 mile run there each April to benefit the park. Visiting this peaceful place now, it is hard to imagine the deprivation that our predecessors experienced, all in the name of American independence.